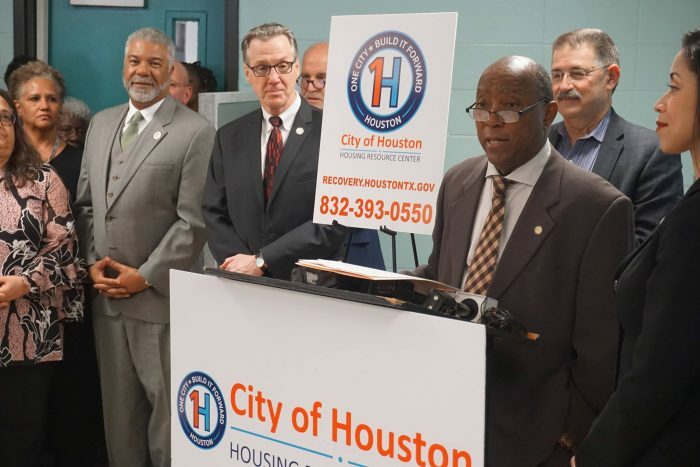 Economic growth and development in Houston’s East End are dependant on a safe environment for businesses and the community. As a police officer with more than 30 years of experience, I am deeply aware of the fact that reducing crime is a joint effort between us and members of the community that we serve. To state it simply, our effectiveness is reduced without the cooperation of the public. This is the main reason why we encourage citizen involvement in our crime reduction initiatives. On behalf of the Houston Police Department, I would like to provide you with the following information that I know will reduce the likelihood that your business will become the target of a robbery. Do not carry the business’ receipts home. Criminals often follow merchants home. Above all else, always remember that your objective is to survive the incident if you are confronted by a robber. Remain calm and do not resist. Instead, focus your energy in paying attention to details so you can be a good witness. Immediately call 911 after a robbery or to report any suspicious activity. I would like to thank the East End Management District for their continuous support of the Houston Police Department and for allowing me to use this venue to communicate with the members of our business community. I know that the operation of a successful business is dependent, to a great extent, in being able to provide a safe environment in which to operate for your employees as well as for your customers. We stand ready to assist you in achieving this objective. The Houston Police Department and Harris County Precinct 6 Constable’s office play important roles in insuring that the District’s 16 square mile area are well served. Business owners can request a site visit by HPD or Precinct 6 to have their property evaluated and proactively reduce the risk of criminal activity. Learn how to protect your business assets and your employees and get to know your local law enforcement team.